Leaders are under great pressure to produce results at a faster pace, using fewer resources with many more options to choose from. Coaching is the smart way to deal with these pressures. When leaders coach they support their team to get more and better work done. But it’s hard for leaders to coach when everyday pressures seem all-consuming. Finding the time to coach seems just another challenge. When you take the time to coach, people trust more, work smarter, collaborate better, and are more innovative. They listen and ask questions rather than tell others what to do. People seek their own answers and become more resourceful. They work more effectively together because they engage in dialogue. Rather than see resistance as a threat, it’s an opportunity to explore other perspectives. Research by neuroscientist Paul J. Zak at Claremont University shows that high trust workplaces considerably improve wellbeing and increase the enjoyment and sense of accomplishment that people have in their work. 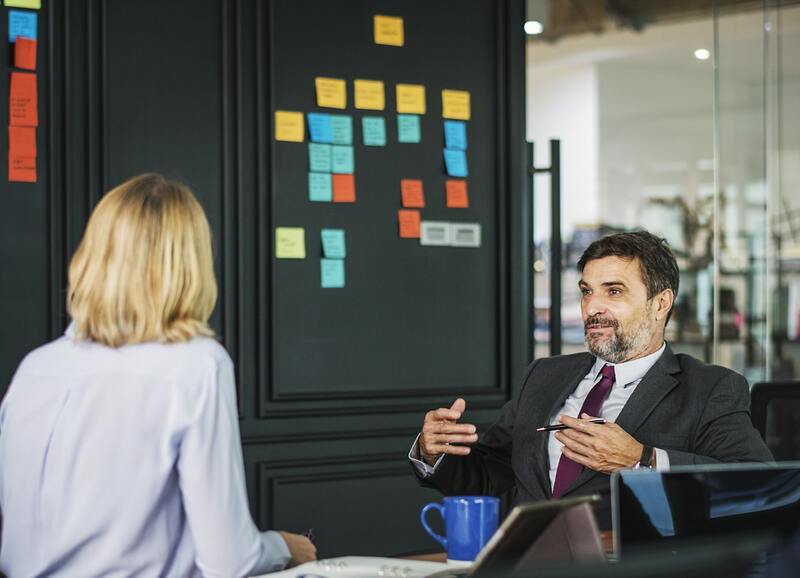 When leaders who coach achieve high levels of trust with their teams, they relieve some of the ‘power stress’ they feel, according to David Rock of the Neuroleadership Institute. Even when leaders know how to coach, Australian academics Christina Turner and Grace McCarthy suggest that they don’t always feel confident that they can do coaching. How can you make it more likely that you will coach, and experience more of the benefits of coaching? Four key coaching practices provide a clear roadmap for increasing your coaching skills. As you master these practices, you will increase your confidence in coaching. The benefits of coaching will pay back to you and your teams. Coaching is built on asking questions and avoiding automatic solution-mode. We are generally predisposed to tell, rather than to ask questions. Leaders in particular fall prey to this tendency. Coaching instead relies on reciprocal two-way interaction. There needs to be a cadence of asking as well as telling. A coaching climate like this is more likely to make it safe to communicate problems, contentious issues and challenges, along with successes. The high status of leadership roles comes with an expectation of certainty and of dominance. We expect leaders to take charge, to provide the answers straight away. To coach, you need to be able to set your aside status and power, to leave space for others to contribute. Empathy can be lost in the daily pressures of work. When you empathise with others you create a positive connection, you influence the mood and tone of the workplace. When people feel listened to and connected with you, they are more engaged. Empathy is not just a good listening and relationship building tactic, it is a hugely valuable influencing tactic. Leaders are rightly concerned with getting things done. Given that most work needs to be done through others, this means leaders are constantly working to influence others. Empathy might seem light touch, yet it creates a strong platform for influence. Connect with empathy to coach and increase your influence at the same time. As coach you can make a big difference to the motivation of your team. When people believe they are making progress in meaningful work they are most engaged. A sense of progress increases intrinsic motivation. Interest in and enjoyment of the work itself becomes the strongest motivator. Teresa Amabile from Harvard Business School likens this to the power of video-gaming. The best leaders use small pieces of recognition in the same way as the games do. They let people know what progress they have made, where they are up to, and remind them of the overall goal. Rather than see coaching as something to do occasionally, or only at performance review time, it pays to practice coaching as part of your daily routine. In every moment ask not whether or not to coach, but what to coach for. To make it routine, take a few minutes at the beginning of your day and review your ‘to-do’ list. Identify the potential coaching moments available to you. Who will you be seeing or meeting with? Who would you like to give feedback to? Who has made progress that you can recognise? Add prompts to your ‘to-do’ list, so that you seize the moment. Prime yourself to pause. Listen, ask questions and help others identify their options. These coaching moments need only take a few minutes of your time. Make asking rather than telling, connecting through empathy, and focusing on progress part of your daily routine and you will master simple yet high-value coaching practices. You will increase trust, expand your influence, increase the motivation of your team, and increase your own satisfaction.